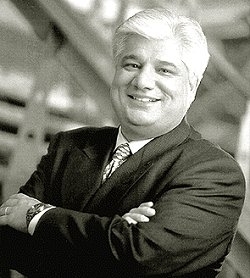 Mike Lazaridis increases stake in BlackBerry | BlackBerry Blast! Despite recent BlackBerry troubles, at least one of the company's founders still believes in BlackBerry. Co-founder Mike has just upped his stake in the company, and is in talks to possibly take over BlackBerry. According to a filing with the U.S. Securities and Exchange Commission, Lazaridis recently increased his stake in the company from 5.7% to 8%. The filing also notes Lazaridis and fDouglas Fregin are exploring 'the possibility of submitting a potential joint bid� for BlackBerry. Can the co-founders save the company? That remains to be seen, and it would be a tough challenge. There is still a market out there for tactile keyboards so if BlackBerry plays to its strengths and stops trying to make imitation iPhones, they may be able to compete as a niche player.